One thing I love about holidays is that there is usually some kind of race associated with it! Think Turkey Trot, Snowman 5-miler, Reindeer Run, ect. 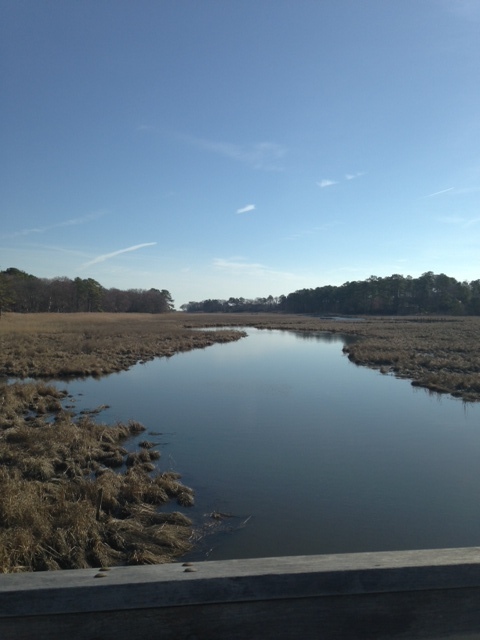 My last recap was for the Valentine’s Day 5k, which was my first race of the year hosted by Seashore Striders. 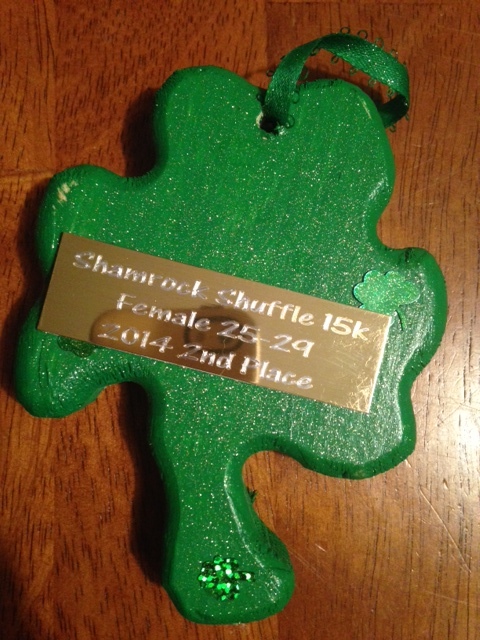 Next on their list of holiday inspired runs was the 8th Shamrock Shuffle 15k & 5k which took place on the absolutely beautiful Junction and Breakwater Trail. 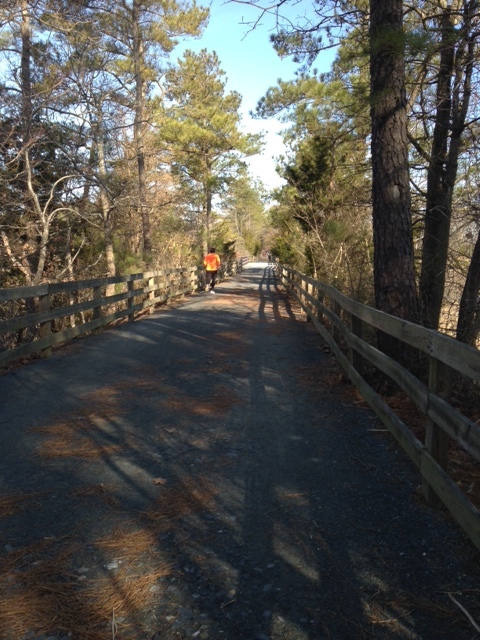 This trail is 5 miles (one way) and offers different terrains and a beautiful back drop. 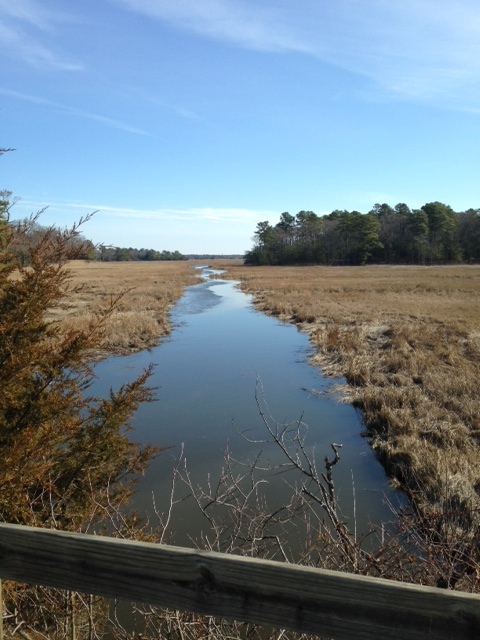 It runs from Rehoboth Beach to Lewes and has informational stops along the way if you are wondering about any of the trees, plants or animals you may see along the way. Now that you have a perfect picture of what my running scenery looked like lets get to the race recap!! 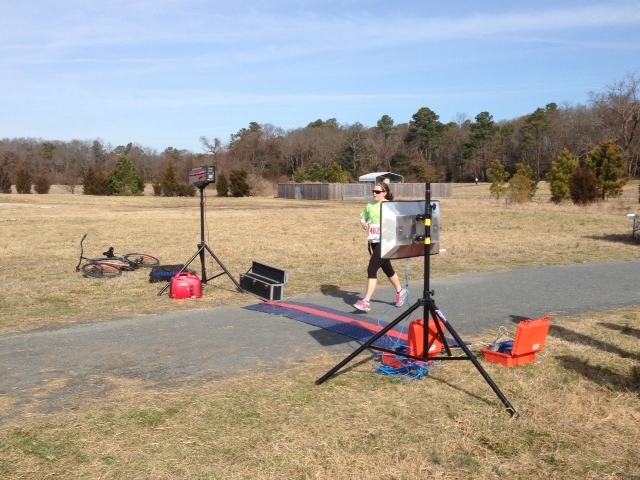 As you all know I have been training for the St. Michael’s Running Festival’s 1/2 Marathon which takes place on May 17th ((ambkristenjo saves you 10%)). Surprisingly I have been keeping up with my long training runs so this 15k (actually only a 14k due to road construction) fit my training plan perfectly. 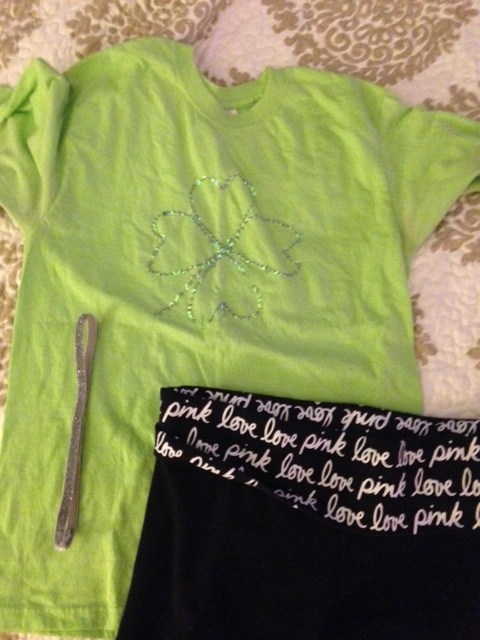 Since it was a St. Patrick’s day themed race, I thought it would only be fitting to wear my hand-made Shamrock shirt from college, a silver sparky soul headband, and of course my VS Pink Cropped Yoga pants. This was Chuck and I pre-race. We were ready to run and both very nervous about it! As I mentioned before all the racers started together. Once the race director gave us the signal to start the race we all took off and began running. For the first few seconds Chuck and I were running together but he eventually took off. 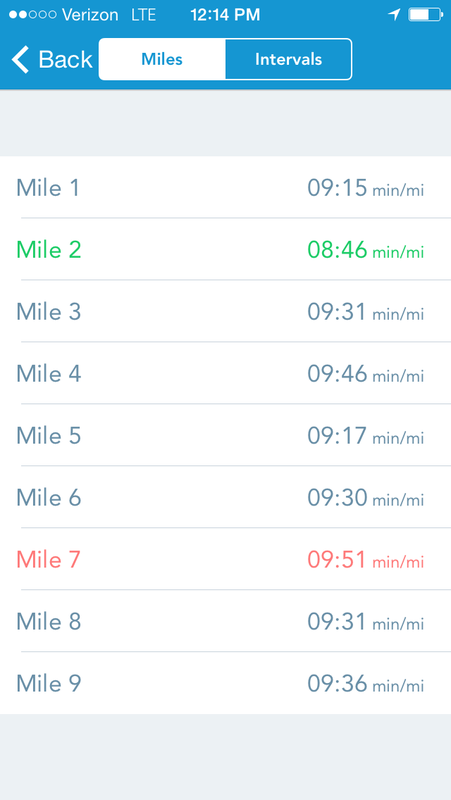 I maintained a somewhat steady pace throughout the race and really felt my best at mile 2 which you can from my splits was much quicker then my other miles. I was happy that throughout the race I did always maintain a sub 10-minute mile. I did eat some energy jelly beans around mile 6-7 to keep my energy up but I really did not like them. I guess this is why you always read to try your fuel before you use it during a race..oops – now I know I will not be using that particular kind anymore! 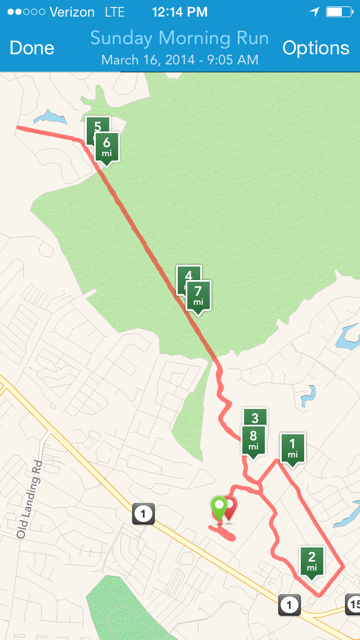 I felt good and my legs never did get tired while running. I had a really awesome playlist which I will post about later on this weekend! A good playlist is always helpful!!! Chucky was able to catch me crossing the finish line in 1:22. My goal for this race was to finish in under 1:30 so I was pumped when I saw it was 8 minutes below what I was hoping for! My time was quick enough to earn me 2nd place for my age group!!!! 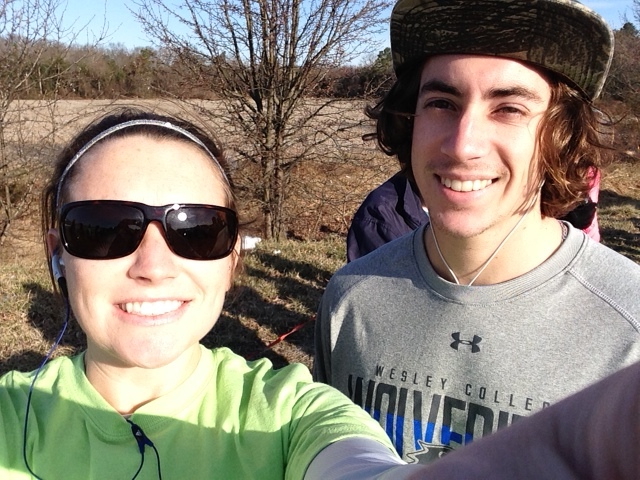 My favorite part of this race was that my brother ran it with me! What surprised me the most is how FAST he is!!! He ended up finishing his first ever 5k in 22:00 minutes! YES 22:00! He finished 6th overall in the race and earned 1st place for his age group! Now what will be interesting to see– will Chuck be bitten by the racing bug like me and the doc have been???!!! Stay tuned to see! 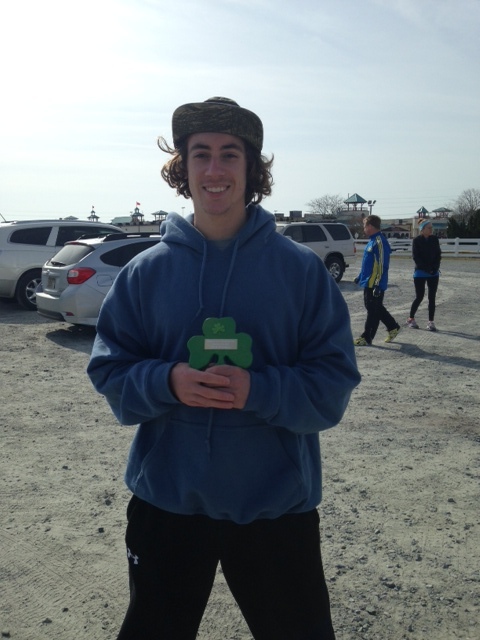 Did you run a St. Patrick’s day themed race? If so how was it? What is your next race? How has your training been going?